Ideal for shops, stores, fairs, promotional islands and indoor communication. It’s a unique product thanks to the wooden base and the lycra band fully customized. Modular structure entirely in aluminum. 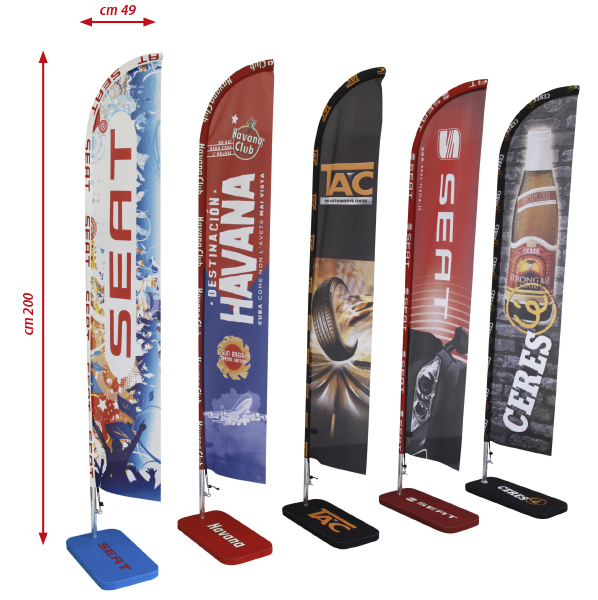 Available with DOUBLEPRINT flag with double-sided printing.